It is uphill from here!! It had finally arrived, somewhat later than expected. You see I had entered my first 10K race back in May, however, due to injury I was forced to defer my place until 2019. 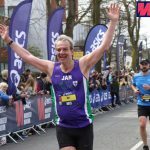 Over the last few months, I had entered various 5K races, which I felt ‘comfortable’ with and was confident I could finish. However, I didn’t feel completely challenged. 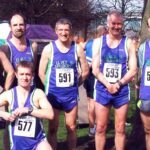 Then in July after only recently joining Striders, a last minute place became available for the Willow Miner Race (something to do with a football match!!). This was my biggest challenge so far, distance and terrain! I loved it! So on the morning of the 23rd September, I arrived ready for the Coxhoe 10K Trail race. I was feeling excited and surprisingly confident. I think the confidence was partly due from completing the Willow Miner race and also meeting some fellow runners the previous Wednesday at training. 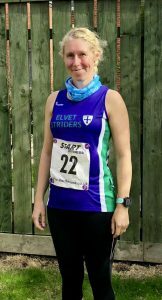 It was the first race I had worn a Striders vest and as people were milling around before the race they would pass with a “hello”, a smile. It was like immediately making lots of new friends. Registration was shockingly early for a Sunday – 8am-9am, especially as the race didn’t start until 10 am. Yes we were hanging around a while and it was freezing (summer was long gone), however, we bagged parking spaces! My advice would be to get there early, park, register then wait in the warm car with a takeaway coffee till the last possible moment. It’s about a 10 mins walk up to the start from the Active life centre or a nice little jog as I saw several people warming up early. We arrived at the finish area…so early. It wasn’t even finished! 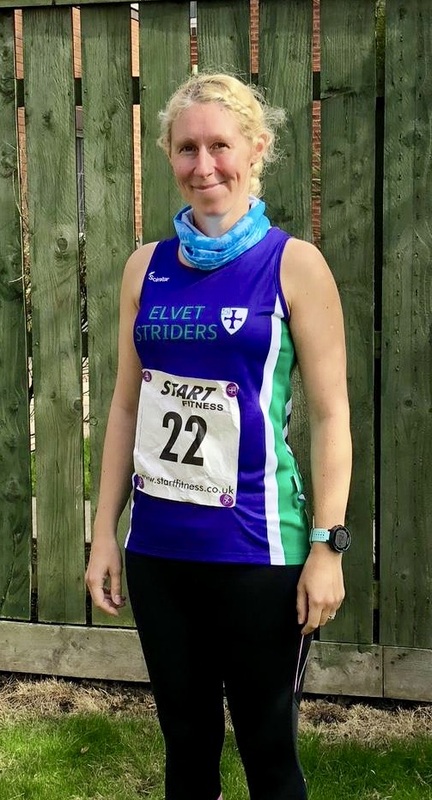 After helping put up the banner ready for a team photo it was time to head to the start, which meant taking off my hoody, wearing a vest with no thermal underneath! How I regretted that at the time. So with extremely cold arms and hands, we trotted off to the start line, raring to go. The buzz was electrifying. 200 other, mainly club runners, all huddling close to keep warm. With no chip timing, I was told to get closer to the front. And we were off and straight down a stony track. At this point, there were tonnes of runners trying to get ahead. I would say this was the most nerve-wracking part. Trying to watch my footing, keeping up a decent pace and not being knocked over by a sea of runners. I would definitely say it pushed me on to run a bit quicker than I had originally planned to. The next few km were along old railway lines, softer terrain and flat, however, this is where I struggled to get into a rhythm, partly due to a cold so struggling to breathe and maybe because of the quick start. Before long we were climbing and as I turned a corner there was the water station. 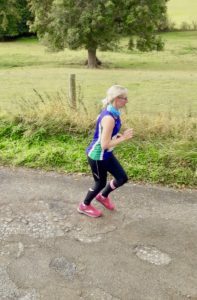 I wasn’t particularly thirsty, however, I was worried it would be the only one, so even though it was very early in the race, I thanked the marshal and took several gulps of water before pushing on. 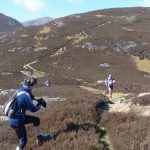 As we approached some downhill, I glanced to my left and could see some runners ahead of me turning up some steep gradients, so I headed down knowing in the back of my mind what was to come! The hills started and they were fairly steep. I power walked most of them but my breathing was heavy. The poor girl I was behind must have been fed up of me heavy breathing down her neck. I remember thinking I’m only at 4km not even halfway, can I keep going for another 6km?! But then as I passed another Strider lady (I would pass her, then she would pass me and vice versa), I saw with relief, a sign for the halfway point. It was at this point that the race changed for me. We were higher up with lovely views and I remember thinking we must be going downhill soon. It was at that moment that I found a new lease of energy. My pace picked up and I started overtaking the same people that, earlier on, I had struggled to keep up with. I didn’t pay much attention to my Garmin and wasn’t set on achieving any particular time, however, I had approximated before the race that I might finish around the 1hr 15 min mark due to my pace history. But as I glanced at my watch I realised I was running faster and as the km interval beeps appeared on my watch, each km average was quick! Not quick for others but for me it was fast!! The downhill felt great, through a wooded area and leaping over a stile at the bottom. I felt like I was flying. Then on over a few roads crossing where the marshals were doing a great job at keeping us going. But then I hit the long flat railway line, which seemed to go on forever. It was at this point that I had to really mentally keep going. I was still fairly speedy (for me) but you could see it go on and on in the distance and I had now exceeded the 8km mark so I was in new distance territory. I started trying to avoid looking ahead and instead kept aiming my sight at some objects in the near distance, using them as targets, all the while remembering about the steep stony track we had come down at the start and thinking, this is going to be the final challenge. As I approached the last marshal at the end of the railway line I crossed onto the track and hit the stony incline. I pushed on trying to keep at a steady jog pace as well as recalling what the run leaders had said about hills during previous training sessions. And then it turned to a walk, “keep breathing and moving” I kept repeating in my head. I could see several people at the top of the hill, this pushed me to start running again as soon as I reached the summit. In reality, my body wasn’t quite ready for that and I could feel my legs turning to jelly, but I kept moving determined to continue. 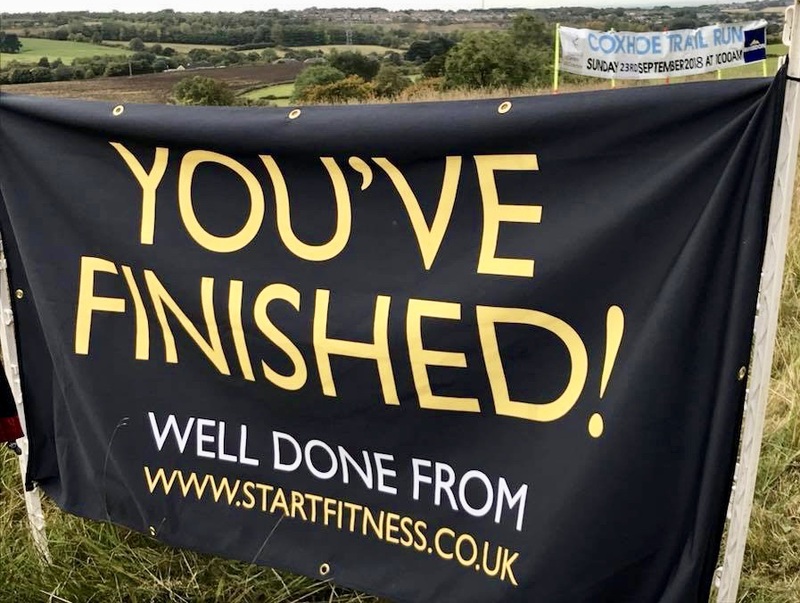 As I passed a few runners (they had already finished) along the track towards the woods I could hear shouts of encouragement, in particular from Rebecca Talbot who was stood in a ditch searching for conkers having already finished in a solid time. As I struggled through the woods I could hear the noise from the finish line in the distance. I started to panic, my breathing hadn’t quite recovered from that final hill. I stood still for the first time in the race took some deep breaths and then pressed on. As I turned the corner I could see the finish, Catherine Smith, Anna Seeley and Kerry Anne Barnett all smiling and shouting encouragement. I turned that final push into a sprint finish, putting my time at a very surprising and pleasing 1hr 7mins, way below what I had expected. So, looking back it was a lovely first 10K to do, fairly low key, friendly and definitely challenging. It has definitely given me more confidence and as I head into my first Trail Outlaws race this coming Sunday I’m full of excitement and determination but also, I’ve decided not to worry about time as I seem to perform faster when I’m not clock watching. Time will tell. One thing I’m certain of is that I have started a love affair with trail running!